This is a biography project. This can accompany a biography unit. Students will read and research a person of their choice. After reading and researching this person, the student will create a Bio Cube of his/her person. 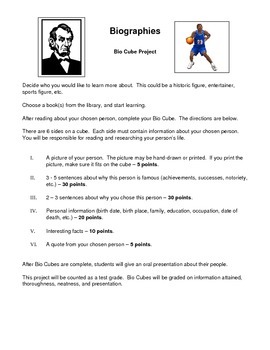 This download includes the assignment, rubric, and a cube template.